Dee Roscioli grew up in awe of the illuminated glow of Easton's State Theatre. Yet the stage may as well have been a million miles away for the 1995 Wilson Area High School graduate, save for participating in a high school talent show held at the theater. "Growing up, I always knew about the State Theatre and it always seemed so huge to me. Whoever got to play there, you know they had made it," Roscioli said during a Dec. 29 phone interview. On Monday night, the Easton native will get her chance to shine at the historic venue when she and her "Wicked" co-star Emily Rozek bring their "Wicked Divas" show to Easton. The two actresses will be accompanied by the Pennsylvania Philharmonic Orchestra. "Wicked Divas" will feature Roscioli and Rozek performing "Defying Gravity" and other popular musical selections from "Wicked," as well as such Broadway classics as "Phantom of the Opera," "All That Jazz," "Spamalot" and "Carmen." "This concert is all the greatest hits that all of the strong Diva character women have sung over the years," she said. "Getting to sing them with an orchestra ... there's just nothing like it. It's like a triple whammy." 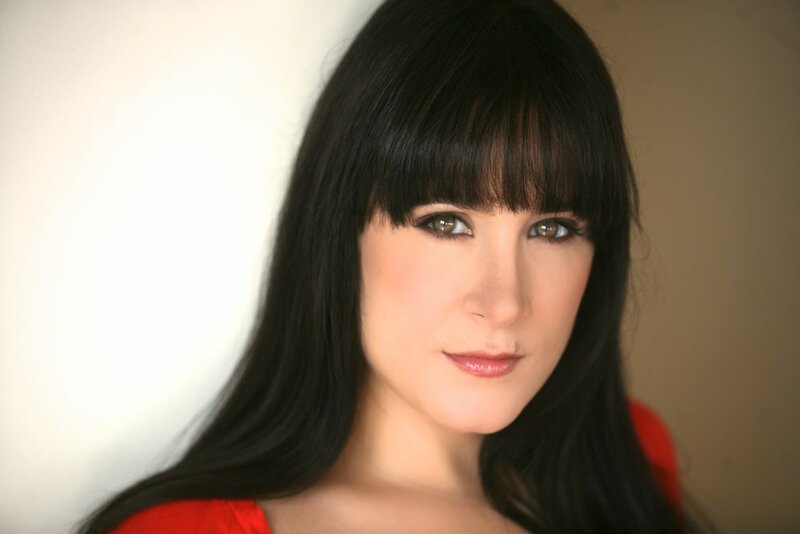 Roscioli, a 1999 graduate of DeSales University in Upper Saucon Township, starred as Elphaba, the "Wicked Witch of the West," in "Wicked." Rozek co-starred as Glinda, "The Good Witch." After years of picking up smaller parts in various productions while daylighting as a waitress, Roscioli's hard work had finally paid off. "That first night, when I finally performed on Broadway, I was so nervous," Roscioli said. "I feel like her (Elphaba's) journey is so beautiful because she lets go of her fears... To do that kind of journey every night does something to you. It reminds you how to live your life regularly." Following her run in "Wicked," Roscioli starred in such musicals as "Liberty: A Monumental New Musical" and "Welcome to My Life." Roscioli was also the star of her own 2010 cabaret show, "Decidedly Dee," at the New York City jazz club Birdland. In late 2011, she briefly starred as Lady of the Lake in the Orlando Shakespeare Theater production of "Spamalot." In August 2016, Roscioli took over the role of Fruma-Sarah in the Broadway revival of "Fiddler on the Roof." Roscioli said she enjoys immersing herself in the play's more traditional, less pop-infused musical arrangements. "It's one of the best shows ever written, in my opinion," Roscioli said. "A lot of the music in 'Fiddler' everybody knows, but it's not the newfangled style everyone's expecting. That traditional sound is different from what I was doing." She added, "I got to 'Fiddler' when I was 15 in high school and now I get to come back to it and understand it a little better." Roscioli has also found time to return to her roots. Her mother still lives around the corner from the State Theatre and you can find Roscioli grabbing a bite at her favorite Easton dining establishments -- Pearly Baker's Alehouse and River Grille -- when she is in town. In 2012, Roscioli portrayed Mrs. Lovett in Pennsylvania Shakespeare Festival staging of "Sweeney Todd" at DeSales. A little more than a decade earlier, Roscioli played a street beggar in a DeSales production of the macabre musical. "When you work up there, it's really about the work. It's very real and it's very honest and it's about the work and that's why I like coming back," she said. Next up for Roscioli is the off-Broadway musical "Kid Victory." Though she would like to create an original character "from the ground up," Roscioli said her dream roles would be Eva Peron or Ellen in "Miss Saigon." Her days in Oz behind her, Rosily remains thankful for the bewitching turn and the impact it has had on Roscioli's career. "The show, in general, touches people. There's something special about the show," she said. "Everybody knows 'The Wizard of Oz.'" "Wicked Divas," starring Dee Roscioli and Emily Rozek, is 2 p.m. Monday at the State Theatre, 454 Northampton St., Easton. Tickets cost $35-$55.